In this second edition of 100 Things to Do in Portland, Oregon Before You Die we've added some of our favorite old haunts as well as a few newly discovered gems. Regardless if it's tried-and-true or up-and-coming we promise if it's in here, it's worth your time. We Portlanders love craft beer, bike lanes, and all things vintage. We pride ourselves on being hipsters, foodies, and major league soccer fans. It's our goal to represent all facets of the city in this book: from the gardens to the shops and the festivals to the bars. 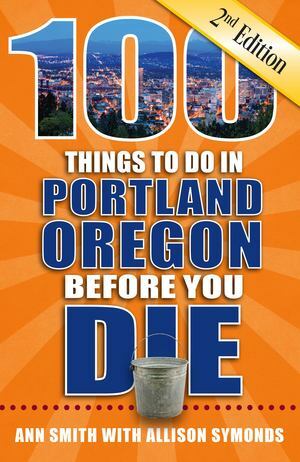 If you're in Portland on vacation, this collection of greatest hits is sure to get you beyond the typical tourist hot spots. If this is home, we challenge you to uncover something in these pages not yet on your Portland bucket list.